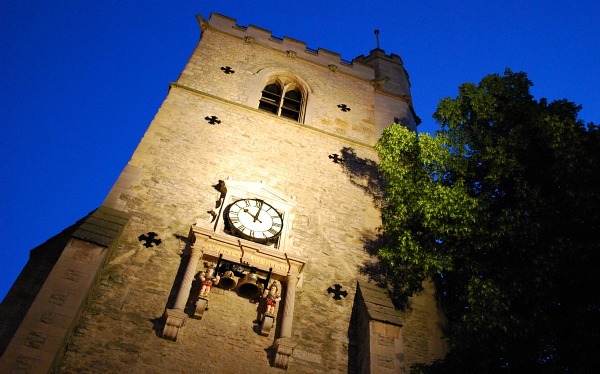 Carfax Tower is all the remains of an historic Oxford church, St Martin’s, which was built in the 13th Century and demolished in 1896 to allow for traffic. 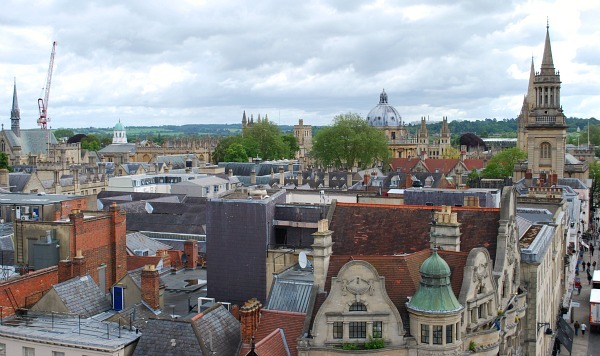 Today, the tower offers the second best view in Oxford after the University Church of St Mary. At the top, you’ll see the historic spires and domes of the city in the background with the shopping streets in the foreground. This tower has the best view of the beautiful Christ Church College which is just down the hill. Inside the tower there are still church bells and on the outside there’s a fancy clock with figures that chime the quarter hour. Half way up, there’s an information room with a short video about the tower and Oxford. 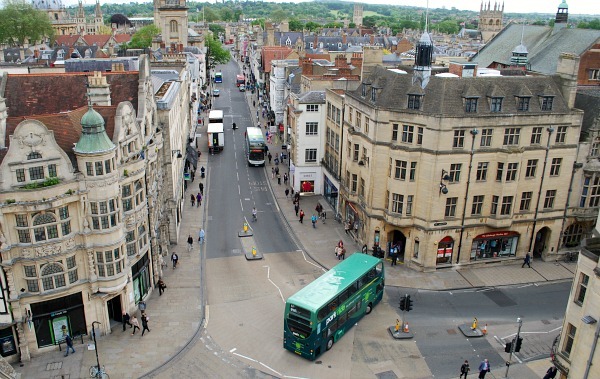 The tower is best known now though as a place to get a decent view of Oxford. Adult admission to the tower is £3 (2018 prices). Your visit will take only 15 or 20 minutes depending how long it takes you to climb the narrow winding steps and how long you want to spend at the top.